Posted below is the response from the Opposition spokesperson for Science in relation to the announced Terms of Reference of the independent investigation into workplace bullying within the CSIRO. The Coalition cautiously welcomes the release of the terms of reference on the CSIRO inquiry into workplace bullying and harassment tonight. However, we are disappointed that the promised prior consultation with the Coalition has not occurred. Nor were we provided with the promised opportunity to meet with Professor Pearce before the terms of reference were finalised. “The Coalition has invested years of work inquiring into workplace problems at CSIRO and were the ones who pushed for this inquiry. Indeed, without our persistence there would have been no inquiry,” said Sophie Mirabella, Shadow Minister for Science, today. “We also remain convinced that this needs to be a full and comprehensive investigation and, on first glance, the terms of reference seem unduly limited in a number of ways. “It is regrettable that a wide number of cases have been excluded from full investigation,” Mrs Mirabella said. Among those excluded from full investigation are cases involving current staff, as well as those employees who have been sufficiently aggrieved already to take legal action against CSIRO. “In particular, we are gravely concerned by the implications of Clause 5 of the terms of reference, which suggests that Professor Pearce will only be required to report his general findings and merely recommend to CSIRO some possible revisions to existing procedures,” Mrs Mirabella said. “This isn’t a Sunday school exercise in delivering lessons. It should be about why this deeply disturbing culture of bullying has permeated CSIRO, and determining who is responsible for it and bringing them to account. “Given that the inquiry will not conclude until after the 2013 federal election, it is imperative that the Opposition is consulted and fully briefed on the process. “Despite the limitations of the terms of reference, we do urge complainants to make submissions to this inquiry and to send us a confidential copy of their submissions. “Naturally, if we are not convinced that this inquiry is sufficiently forensic then we will reserve our right to press for the fuller, more detailed and more wide-ranging inquiry that is desperately needed,” Mrs Mirabella concluded. 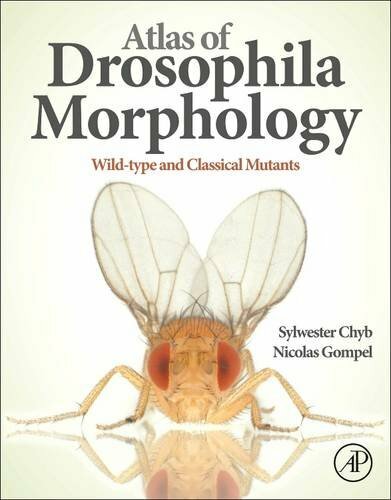 A scientific publication which senior CSIRO officials tried to prevent from being written by world-leading Entomologist, Dr Sylwester Chyb has just been released for pre-order on Amazon. We would like to offer our congratulations to Dr Chyb for this outstanding achievement and wish him all success with his publication. Injuredworkerssupport.org.au have posted the following article in support of our call for a fair and transparent investigation into allegations of workplace bullying within the CSIRO. Sadly, it is the same old mantra when confronted with a the reality of their own failures executives revert back to a reliable formula: avoid the issue, deny the issue exists, and ‘cover it up‘. For CSIRO there is no longer the possibility of avoiding the issue so it’s on to denying and covering up. Some of the bullying and harassment claims from within the CSIRO are ”pretty dodgy”, according to a senior executive. As the CSIRO announced details of its independent review of its workplace culture, Commonwealth parliamentarians have been told to treat with caution some of the claims made by former employees. CSIRO chief executive Megan Clark told staff on Monday that the review would be led by former Commonwealth ombudsman and emeritus professor Dennis Pearce, one of Australia’s leading experts on administrative law. The organisation has been dogged for several years by claims of bullying and harassment, one group of alleged victims garnering considerable publicity and setting up victimsofcsiro.com to pursue their cause. An online petition has now been launched requesting that the Solicitor-General, Attorney-General and responsible minister intervene to ensure that the investigation is conducted in a truly independent manner and that CSIRO is prevented from interfering in the process. The really serious consideration is whether CSIRO Executives will attempt to “shoot the messenger” and discredit legitimate submission to the ‘independent’ inquiry and what impact this may have on the overall quality and outcome of the process. Lots of allegations have been tossed around by stakeholders and media in recent times and I would have to say that the basis for some of those are pretty dodgy,” he said. Over the last three years, to October 2012, there have been 11 allegations of bullying and harassment made in the CSIRO and 10 of those have subsequently not been substantiated. After reading the Canberra Times article CSIRO bully accusations ‘dodgy’, says executive let’s unpack this very public assertion. If you peruse the Victims of CSIRO website you will see that there are many references to “endemic” and “systemic” management bullying. This is important as there is a distinction between one on one bullying due to, for example, individuals just not getting on and heavy handed corporate management. Make no mistake. Heavy handed corporate management encourages workplace bullying and intimidation. It is legitimated by the rhetoric of managerialism and, typically, goes on for years until some people speak out. Most, of course, do not as they see what happens to those who do. One of the ways corporate areas within the Australian Public Service agencies mask the extent of the problem is to divert attention away from systemic issues and toward the individuals who speak out. This is why they refer to targets and complainants as ‘cases’. To get a feel for this dynamic I suggest you read my post The Australian Public Service – Bullying enhancement strategy 2013. A key characteristic of corporate management functions, in particular corporate human resources, is moral disengagement. This unhealthy characteristic shapes Australian Public Service practices and notions of what constitutes leadership, management and, with that, workplace culture. This is significant as corporate management functions strongly influence workplace culture. In this regard I suggest you read The Socialization of Individuals into Deviant Corporate Cultures and view Albert Bandura’s talk on moral disengagement. Clearly, corporate management functions within the CSIRO and the Australian Public Service as a whole need to look critically at themselves. I see little evidence that they have. In fact, they engage in defensive routines to maintain the status quo. This is precisely what has taken place for years in many Australian Public Service agencies and it goes a long way towards explaining why bullying and mobbing persist. At great human and financial cost. Given the fact the review is underway it would have been more appropriate for Mr Whelan to take steps to ensure his claims remained off the record pending the outcomes of the review. He clearly did not and what this effectively means is that a very public message has been sent to the effect that the problem really is not that big. Given that the CSIRO Organisational chart shows that Mr Whelan is responsible for governance, communication, legal and administrative functions serous questions must be raised as to the impact of this message on the conduct of the review itself. In particular the impact on the participation of staff. Misconduct procedures have been updated to include a health risk assessment, amendments have been made to reflect changes to the medical assessment process and we’ve updated our reporting and recording mechanisms,” she wrote. We also have guidelines for the governance of complex cases. While this is obviously correct from an administrative perspective, it cannot be assumed that such changes go anywhere near addressing problems with the workplace culture of the CSIRO. Ticking the box on administrative matters is not an indicator of a healthy workplace culture. On balance this is completely inappropriate as, from a research perspective, it amounts to an attempting to influence the status and validity of information presented to the review team. My advice to CSIRO staff is to keep a very wary eye on the conduct of the review. I sincerely hope that the review of the CSIRO does not become a sham. However, thanks to these events that possibility can no longer be discounted. Victims Of CSIRO have never received any requests from anyone asking for their name to be removed. Victims Of CSIRO have never received any contact from CSIRO Legal nor from any law firm representing CSIRO. Victims of CSIRO have never sought in anyway way to interfere with proper judicial or administrative processes. Victims of CSIRO will continue to fulfill its mission to expose the toxic workplace culture within the CSIRO and the culpability of its senior leadership. As we have done so previously, we will publish all information presented to us in relation to this subject, including those views that differ from our own. The following article was posted in the Canberra Times. We have also included the comments made by members of the general public in response to this article. Judge for yourself! But CSIRO deputy chief executive of operations Mike Whelan told a Senate estimates committee in Canberra last week that some of the claims that had attracted publicity were suspect. ”Lots of allegations have been tossed around by stakeholders and media in recent times and I would have to say that the basis for some of those are pretty dodgy,” he said. Mr Whelan was also critical of the claims made on the site. ”There are entries on that website that purport to detail the case studies of at least 14 victims of CSIRO and I know for a fact that two of the individuals cited there have indicated to CSIRO that they are not victims, that they have not supported the material being put on that website and that they are uncomfortable about being associated with this,” he said. In her bulletin to the organisation’s 6600 workers, Dr Clark said the CSIRO installation at Black Mountain in Canberra was now fully compliant with the ”improvement notice” handed out by Commonwealth workplace safety authority Comcare last year. ”Misconduct procedures have been updated to include a health risk assessment, amendments have been made to reflect changes to the medical assessment process and we’ve updated our reporting and recording mechanisms,” she wrote. Of the two-stage review, Dr Clark said: ”Professor Pearce will investigate claims of former staff of bullying and harassment within the organisation … The investigation team will first seek submissions with the aim of providing an interim report by May 2013. ”We envisage that this report will cover the number and nature of claims made … It may also contain recommendations on matters that require further examination. If Comcare gave CSIRO an ‘improvement notice’ it is because the employees (through their lawyer) have won their legal case for bullying and harassment and have sufficient evidence that they were subjected to unfair and unreasonable practices and their health was damaged as a result. Dodgy claims for that sort of thing don’t get through Comcare’s detailed scrutiny. So CSIRO investigate 11 claims of bulling and harassment internally and 10 have not been substantiated. Just goes to show how flawed and unreliable CSIRO’s internal investigations are. They clear themselves of any wrong-doing through internal investigations to try to avoid liability for any subsequent claim for damages, then claim to the media that they are ‘dodgy’ claims to make the organisation look better publicly. Yet CSIRO have updated their processes at Comcare’s instructions? You would have to be a fool to think that ‘unfair and unreasonable’ processes are unlikely to result in bullying and harassment and cause damage to an employee. Clearly CSIRO are trying to reduce the impression and effect of the term “bullying and harassment” by stating they were just flawed processes (ie. trivial). It is near impossible to get Comcare compensation for psychological injuries. These sort of claims end up in Tribunal because employers like CSIRO misrepresent their actions, withhold evidence and drag the process out. Comcare is more than happy to listen to the employer hoping the claimant will give up. For Comcare to actually investigate the workplace AND find breached of health and safety legislation is very rare. Imposing Notice of Improvement is almost unheard of. Yet CSIRO got 2 notices in 2012 and their Comcare premium skyrocketed. Surely it must mean something! Maybe it is the internal CSIRO grievance processes which are ‘dodgy’? If management’s response is anything other than to be happy to face external scrutiny to clear things up, they probably have something to hide. To attack serious claims by calling them “dodgy”, even if they turn out to be so, makes me suspicious of the CSIRO management culture and adds credence to the claims of a toxic culture. CSIRO in investigating one complaint of bullying by a female staff member involving a senior officer revealed at least a further 10 complaints by female staff in relation to the same senior officer. It is alleged that CSIRO failed to undertake investigation of the numerous other complaints because a) they were outside the scope of the investigation, and b) the other victims had not submitted a formal complaint. CSIRO of course were quick to point out that they would take any allegations of this nature seriously irrespective of how they had come to light. Yeh, Right! In at least one case we know of, a member of the CSIRO Executive Management Team refused to investigate allegations of victimisation made against some senior officers because the complainant had not issue raised as a formal grievance. CSIRO management have failed to refer matters of a criminal nature to the Australian Federal Police on a number of occasions and so there is very little credibility in this response. We recall previous Senate Estimates hearings in which CSIRO executives stated “hand on heart” that a complaint made against an officer would not be referred back to that officer for investigation. We know how that worked out, which brings us to the next key point! For this ‘independent’ investigation to be in any way credible, CSIRO must not be involved in the handling the submissions which should sent directly to the independent investigator, not via CSIRO. The pre-judgement of the ‘veracity’ of complaints by Executive, Mike Whelan in senate estimates does not bode well for CSIRO impartiality. Dr Clark does not accept the outcome of Tribunal matter that has significantly more transparency and judicial merit than any CSIRO effort. No doubt, members of the judiciary are standing up and taking notice of Dr Clark’s proclamation, after all she does have extensive legal experience and is qualified to make such a proclamation, isn’t she???? Dr Clark has used her own unique interpretation of the matter to determinate that senior offices are not guilty of gross misconduct for effectively perjuring themselves before a Tribunal and bringing the CSIRO into disrepute as a result. Apparently also, vague recollections are appropriate justification for “making things up”, rather than the far more reasonable and mature response which is to tell the truth and say “I do not recollect those events”. The more you attempt to justify something, Dr Clark, the less justification it has! I guess we will just have to wait and see how prophetic these revelations are! Senator BUSHBY: Thank you, Chair; and thank you to the CSIRO for assisting the committee today. Thank you for your opening statement as well. I note that that statement tends to focus on the bullying issues that have been raised within the CSIRO and your response to it, which involves an inquiry. I want to ask some questions about that. Dr Clark, on the morning after the last estimates hearing, which was in October, you told the ABC AM program that there had been three to four incidents of these bullying and harassment issues reported. Your report can be read differently, once again in the way Senator Mason was saying, where you say that ‘we believe we that just as we have matured as an organisation with our safety performance, we can also improve in the area of staff welfare, because one case of inappropriate behaviour is one case too many.’ You talk about three or four cases in October. How many allegations of workplace bullying and harassment at CSIRO have actually been made? Mr Whelan: Over the last three years, to October 2012, there have been 11 allegations of bullying and harassment made in the CSIRO—and 10 of those have subsequently not been substantiated. There has been one finding of bullying and harassment substantiated over the three years to October 2012. Senator BUSHBY: So those are the numbers that have been officially reported. Are you aware of other allegations of bullying that have been made that may not have been put through the official channels at the CSIRO? Mr Whelan: That is the data that flows from CSIRO’s grievance and misconduct process. Senator BUSHBY: Okay. Because I am aware that senators on this side of the table are aware of over 100 alleged cases, so I am interested that they have not actually been through that process. Dr Clark, from your statements of 5 February, when you announced the inquiry, it could be read that this inquiry will only look at the cases of former CSIRO employees. Can you clarify whether current employees will also be able to have their cases considered by the inquiry or whether they have been excluded for some reason. Dr Clark: We are finalising the terms of reference with the independent reviewer, and we are looking at whether current staff can provide general submissions to the independent reviewer. Senator BUSHBY: So you are considering that, but it has not yet been determined? Dr Clark: We are finalising the terms of reference with the independent reviewer and his team. Mr Roy: Senator, just to add to that, if I may: to extend Dr Clark’s answer, we have well-established and tested mechanisms for current staff members to report difficulties that they may be encountering in the organisation, either through the grievance process or the misconduct process, which forms part of our agreement with staff as to how we manage such things. Schedule 4 to our enterprise agreement is where that is spelt out. So it was not the intention for any matter brought forward by existing staff members through that process to form part of an investigation; it would, however, potentially, as Dr Clark said, form part of the fabric for the investigator to make some broader assessment that includes information from staff members—and, as Dr Clark indicated, a final decision has not been made on that particular option at this stage. Senator BUSHBY: But with respect, Mr Roy, we have asked questions in this forum in the past about existing employees who have raised issues and the consequent treatment that they have received—for example, having their allegations investigated by the person against whom they are making the allegation. It is those types of issues that are of concern, certainly to people in the committee; and I would have thought that if you are going to hold such an inquiry into these issues, those types of allegations would necessarily be included as part of that inquiry. Mr Whelan: Senator Bushby, the matters related to prior investigations may be subject to review in this process. It will be up to the investigator to decide whether the previous reviews were adequate, competently performed and the like—and, if they were not, to make recommendations that require their further investigation. As you would know from the opening statement that Dr Clark tabled, and other communication, CSIRO’s interest here is to have clarity around the facts of the situation. We are aware of the allegations and the numbers you referred to. It is difficult for an organisation to deal with something that is hearsay and intangible. So part of the rationale for announcing and commissioning this review is that we would like to try and establish the facts. And to the extent that there are matters that require the further attention of CSIRO, this process is designed to facilitate that. Our interest is to understand the situation fully and comprehensively and take whatever action is necessary as an organisation that has a duty of care to its staff. Senator BUSHBY: I commend what you are saying you are trying to achieve there—and it is exactly what I think you should be trying to achieve: establishing the facts and taking appropriate action. Senator BUSHBY: My questions today are just to do a bit of stress-testing on the approach you are taking to try and make sure that that is what you are going to achieve. Dr Clark: I appreciate that, Senator; and we would also make sure that there is flexibility with the independent reviewer and the lead of that, to make sure that we achieve the aims. Senator BUSHBY: Okay, I will ask a couple of questions along the lines of that stress-testing, then. Dr Clark, have you or any member of your executive team already had any discussions in any form with the persons who will head up or conduct this inquiry? Dr Clark: Yes, we have. As Mr Whelan outlined, we are aware of a number of issues and experiences that have been raised by former staff. Some of those have previously been reviewed, but other cases have not—and that is why I have taken the decision, with the support of the board, to engage the independent investigator. That independent investigator will be Emeritus Professor Dennis Pearce, former Commonwealth Ombudsman from 1988 to 1999. Senator BUSHBY: So the extent to which you have had discussions with that eminent person—sorry, what was the name again? Dr Clark: It is Emeritus Professor Dennis Pearce. Senator BUSHBY: So those with Emeritus Professor Pearce were in terms of the setting up of the inquiry, not the subject matter at this point? Dr Clark: Certainly the terms of reference have been discussed with Dennis and his team because you want to bring in both the experience and wisdom that Professor Pearce has in these particular matters. We would expect to announce those terms of reference in seven to 10 days. Senator BUSHBY: With the terms of reference, to what extent does Professor Pearce have the ability to craft those? What I am really looking for is a degree of independence by Professor Pearce in terms of what he has a look at rather than input from CSIRO, who may, with the best of intentions, not have the objectivity that is required to make sure that the terms of reference are sufficiently broad to look at the real issues? Dr Clark: It serves no-one—and no-one involved—if this is not an independent review. So, whilst we have drafted draft terms of reference, we are looking to use the experience and wisdom of the lead of the review to look at the detail of those terms of reference. We will be listening to that. Mr Whelan: If I may add to that, we provided the initial framework for the terms of reference. We have provided them to Dennis Pearce and his team for review. We have had a number of meetings over the course of the last week around the shape of those. He and his colleagues have added considerable value to that process and I expect that when those terms of reference are finalised they will incorporate his and his colleagues’ perspective on how to conduct reviews of this kind. Senator BUSHBY: Are the final terms of reference subject to tick-off by CSIRO? Mr Whelan: CSIRO is the one commissioning the review. Ultimately the organisation is the one that has to be satisfied with the terms of reference, but our intention of involving the independent investigator and his team in the drafting of the terms of reference is to make sure that it is as comprehensive and—as Dr Clark has indicated—independent as possible. Senator BUSHBY: Who is involved from CSIRO in liaising with Professor Pearce? Is it just Dr Clark? I take it from your level of knowledge, Mr Whelan, that you are also involved. Mr Whelan: I have had carriage at the executive team level of framing this activity, providing support to Dr Clark and the board in regard to those matters, and I have been supported by colleagues in my legal team. Brett Walker, our general counsel, and Chris Gibson, who has been out acting general counsel, have worked with me and with Professor Pearce and his colleagues to progress this matter to date. Ultimately those materials will be put before the chief executive. I suspect they will be noted by the board before they are announced. Senator BUSHBY: Have attempts been made to keep the involvement of CSIRO personnel fairly tight? Given that the inquiry will be looking at practices of personnel from CSIRO, I would imagine that there is benefit in trying to keep the development of the terms of reference and the conduct of this inquiry as tight as you possibly could. Mr Whelan: There are clearly going to be issues around confidentiality and the sensitive handling of information. We were aware of that when we started thinking about this process and it is very clear, from dealing with Professor Pearce and his colleagues, that they are also very sensitive to that issue. So, yes, we have given thought to the need to make sure that there are very clean and separate lines in CSIRO to support this process. We also need to make sure that our duty of care to current staff is maintained and that the principles of natural justice are applied. So, yes, we are looking to make sure that there is a streamlined and dedicated team to efficiently support the review and we are giving active consideration to how material that might be provided anonymously or generically to the review might be treated. Our current thinking at this stage is that we will take a two-phased approach to the review. The first phase, which we think will take approximately three months—assuming we get that kicked off in the next week to 10 days, as Dr Clark has indicated—would see us complete that phase in mid to late May. That phase would receive, analyse and preliminarily assess submissions made to the review. It would make recommendations and observations to CSIRO about the general characteristics of those submissions, and it will have conducted a preliminary examination of allegations. And I imagine the investigating team will have formed a view as to those matters that may require further detailed investigation, and that is where the concept of the second phase comes in—that those matters then would be referred through and then be subject to independent investigation. We estimate that that second phase, if required, may take a further six months. That will depend on how many matters travel through phase 1. Our current expectation is that individuals who make submissions to the inquiry will receive a report back as to what has happened. We expect that a general report from phase 1 will be made publicly available about the nature of the submissions and those matters that will go through to the next phase, and outline the process for that. There are some considerations with respect to whether people who make submissions indeed want those matters to be further investigated. So we are sensitive to that, and in framing the terms of reference we are giving thought to maximising the opportunity for people to be able to provide us with input and their perspectives on this, and at the same time making sure that the review process we have established can adequately address those. Senator BUSHBY: There is a lot in what you just told me there. But coming back to what I was talking about before, in your opening statement you mentioned sensitivities to individuals and confidentiality and so forth. Dr Clark and members of the executive in all likelihood will need to give evidence to the committee conducting the inquiry. In the interest of avoiding potential or perceived conflicts of interest, it might be advisable to keep that tight and minimise the number of people who are actually liaising in terms of how you set up the terms of reference and how you set up processes. Mr Whelan: That has not been a consideration that we have taken into account in this process to date. The individuals—at the board level, the chief executive and the other colleagues I work with—have the highest levels of personal integrity. Mr Whelan: I know you are not; I just wanted to clarify the context for my remark. They have the highest levels of personal integrity. They understand and we understand that should a matter flow into this process then, subject to review by Professor Pearce that relates to them, they will be afforded all the same opportunities as any other member of staff would to respond to those, and we would treat it no differently to any other matter relating to any other member of staff. They understand that and I understand that, so that is not a factor I have taken into account. Senator BUSHBY: Okay; I will leave it at that. You also mentioned the two-phase process. If it is required to go into the second stage, you are anticipating that that will take it through to close to the end of the year. Mr Whelan: I estimate, and it is very broad. As you have noted, you are aware of allegations. All of us have an absence of facts here, so it is difficult to quantify. But for planning purposes we have made an assumption that that second phase may take a further six months. If phase 1 is completed by mid to late May, as I have indicated, that would take us through to November. But, as I have indicated, we expect to make publicly available a report on the outcomes of phase 1 in the mid or late May to June time frame. Senator BUSHBY: I do think it is important, as you mentioned, in contemplating the idea of how you might treat anonymously, or protect the identity of, people who are making the complaints. Since I started asking questions about this I have had at least two ex-CSIRO scientists come to see me and raise issues, but they did not want me to raise them publicly or raise them in this context, because they were concerned about how that might play out on their longer-term careers. So I do think it is important, because there are people out there who certainly feel aggrieved and who I think would like the opportunity to put the reasons for that to this inquiry yet remain protected in terms of their longer-term outlook. They may well be being overly paranoid, but to them it is real. Mr Whelan: I think that is absolutely utmost in our mind. But equally utmost in our mind are the implications of this process for staff who currently work in CSIRO who think it is a fantastic place to work, who themselves have had to contribute to and participate in independent investigations on some of these matters in the past and who are impacted by that. We have been—and I remain—very sensitive to the fact that the mere fact that we have announced this review and this process, and its implications of re-examining material that has previously been independently examined, is quite confronting for some of those staff, and we have a duty of care to them also. I think it is something that all stakeholders need to bear in mind around these matters. Lots of allegations have been tossed around by stakeholders and media in recent times, and I would have to say that the bases for some of those are pretty dodgy. I think there is a real need for all people to deal with the facts and to support a process that is about establishing getting the facts on the table. I know, for example, that the figure you quoted earlier, Senator, happens to be the same figure that is reported on the Victims of Bullying, Harassment and Victimisation at CSIRO website. I just want to make a couple of remarks about the veracity of the material on that website if I may. Firstly, there are entries on that website that purport to detail the case studies of at least 14 victims of CSIRO, and I know for a fact that two of the individuals cited there have indicated to CSIRO that they are not victims, that they have not supported the material being put on that website and that they are uncomfortable about being associated with this set of actions. It is also important to note that a significant amount of the material on that website relates to matters that are currently before the courts. It is not appropriate for me—and I do not think it is appropriate for stakeholders—to be digging into the detail of those matters, given the sensitivities around that. Indeed, our legal representatives have had to take action in that regard in recent times because we are concerned that some of the entries on that site are indeed seeking to intimidate witnesses in a federal court case. I am gravely concerned at the impact that this process is having on existing staff around those matters. I think they are important facts to get on the table. Senator BUSHBY: I do not argue with that. I hope the process you are setting up with this inquiry will be sufficiently robust so as to satisfy those people who do have concerns about their personal treatment and can work through that and establish the facts, as you say. Dr Clark: I think that would be our aim as well. As I said, it serves no-one if the review is not independent, if it is not at arm’s length and if it does not achieve the aims of ensuring that the duty of care to past employees has been met, as Mr Whelan outlined, recommending any further investigation or action that needs to be taken—and, very importantly, learning the lessons from any experiences of past employees and making sure that our strategies, actions and behaviours in the future take into account those lessons and that we learn from those experiences. Regarding the point you made around encouraging people to be able to provide information in confidence—information that need not be shared outside the independent reviewer—one of the things that was utmost in my mind was not just that this is a legal or technical review but that there is the opportunity for the investigator to listen to and understand those experiences. In terms of any strategies that we have, to continuously improve what we do at CSIRO we must understand the impact of behaviours. We must ensure that everyone has the skills and the tools to be able to resolve things collaboratively or the systems and processes to be able to resolve issues should they escalate—and importantly, and thirdly, that we learn from past experiences in any incidence, and put in place the corrective actions so that those experiences do not happen in the future. Senator BUSHBY: That is the key, I believe: making sure that you actually ensure that your processes and the way you deal with these issues in the future is addressed, if it highlights any deficiencies. That is one of the reasons I asked the questions about existing employees, because there may well be existing employees who feel aggrieved for whatever reason and who may be able to assist that process. Dr Clark, your statements when you announced this on 5 February seem to imply to me that people have only been raising allegations of bullying in the workplace since May 2012. Putting to one side the fact that these issues have been raised directly with the CSIRO over several years now, including through estimates questions from the coalition going back as far as at least February 2011, how far back in time will the investigator be permitted to go in looking at cases? Dr Clark: We are currently looking to go back seven years, but also making sure that the investigator has flexibility—you would not want someone at seven years and one month to be excluded; it is important that we listen to that. Mr Whelan: I would imagine that the report from the investigator at the end of phase one will cover a broad range of material, including some specifics around individual matters. I do not imagine, with respect to privacy concerns and potential subsequent misconduct investigations if required, that those matters will be released. But to the extent that there are matters that need to be further investigated, I would imagine that the quantity of those and the general characteristics of those would be included in that report—the broad shape and nature of what has come forward. It is not our intention for any communication positioning perspective to want to limit that. As Dr Clark has indicated in her communication to staff about this, what we are trying to do is to understand the situation and respond to it, and the best way to understand it is for people to have access to the information that may flow from this. So, we are still finalising the terms of reference. It is difficult to predict, but from a sentiment perspective it is our objective to ensure that this material is freely available. Senator BUSHBY: And in terms of that, the report will be released by Professor Pearce rather than the CSIRO. Is that correct? Mr Whelan: I do not know how that will play out in a practical sense. Professor Pearce will be the person who provides us with the report; it will be his report. We have not discussed this in any detail yet, but I would imagine that a draft will be provided. I imagine that we will then receive a final report, and I imagine we will get briefings along the way. But, as I have indicated, it would be our expectation that that report—or the appropriate components that do not go to individuals, if you like—would be made available. And, as I said earlier, in addition to that, or as a subset of that, individuals who had made submissions would also get information fed back to them as to the status of that. If it was a generic inquiry they made, then perhaps they would get the generic report. If it was a specific one then they may get some specific details provided back to them. Senator BUSHBY: The reason why I am asking these questions is the obvious one: respecting the privacy and sensitivities that you would not necessarily want to put into the public arena, ensuring that the warts-and-all findings of Professor Pearce are not in any way sanitised before they are actually publicised. Dr Clark: I think we would absolutely share your sentiment there, hence why the review is both independent and at arm’s length. It would not serve CSIRO or our former employees or any of the stakeholders if that were not the case. Senator BUSHBY: Is it true that during 2012 a formal investigation was launched into allegations of the bullying of a female staff member by a senior officer in the Food Futures flagship? Is it also true that that investigation unearthed another 10 cases of suspected bullying of female staff by the same CSIRO employee but that nothing was done about that either at the time or since because it was not considered to be within the scope of the original investigation? Mr Whelan: I would have to take that question on notice. I have got general information about numbers of investigations and the outcomes of those that I can provide to the committee, but that specific matter that you have raised I have no transparency on. I would be more than happy to take that on notice and come back to you. Senator BUSHBY: It is an example that I suspect—if it is the case and I note that you have not said, so if it is the case that an investigation into a certain person’s allegations highlights a commonality of issues with others but they do not get investigated because they were not part of the original investigation—would be something I think maybe the inquiry should be examining. Mr Whelan: From my experience in looking at these matters in CSIRO, that would be an unusual situation should that have been the one that happened. There are mechanisms that staff and managers have access to to informally raise issues and deal with those closely to the workplace. They need not require formal or written communication; they can be as simple as a discussion. There is certainly no barrier, from a process or policy perspective, to that. As I said, I am not aware of the circumstances that you seem to be suggesting. Mr Whelan: I will look at that and provide you with information on that. Senator BUSHBY: At last estimates there was quite a bit of discussion about what approach the organisation takes where an employee has provided false or unreliable testimony and that carried over into the answer to question on notice No. SI70. To follow on from that, I want to move to the judgment in the AAT case involving CSIRO and a former employee, Martin Williams, that was handed down in December 2012. Given that at least two of your senior executives, Dr Callum Drummond and Mr Damien Thomas, had damning judgements made of them during that case about their conduct, including that they were unreliable witnesses, what action has subsequently been taken by CSIRO in each of their cases in respect of that conduct? Dr Clark: Comments relating to the judge in this case are serious and there were two aspects that I wanted to satisfy myself as a result of those comments. One was reviewing all of the transcript from the case to see whether there was any case of misconduct for the officers mentioned and also to review the transcript to make sure that there were any lessons learned. I also wanted to make sure that there was full transparency to the board in this process so I asked our acting general counsel to complete that review. I have satisfied myself in examining that there are no grounds for commencing misconduct cases against either of those individuals, but there are lessons to learn in other aspects that were highlighted in that review. Senator BUSHBY: And the key lessons that are to be learned? Senator BUSHBY: Are there any lessons about employees who provide a false or unreliable testimony? Is it something that you particularly looked at coming out of that judgement? Dr Clark: As I said, I have answered that question in that we looked at that. The commissioner did not accuse either of the officers of providing false testimony. They simply made reference to their knowledge of the facts in terms of reliability. Senator BUSHBY: Has any action been taken within the organisation in response to the findings in that decision and also by Comcare, that Mr Williams suffered generalised anxiety disorder during and as a result of his employment at CSIRO? Do you intend to offer any form of compensation to Mr Williams? Mr Whelan: To reframe the context here so that people reading this transcript know what happened: this is a matter between Mr Williams and Comcare and the AAT. It is not a matter against CSIRO. CSIRO officers were witnesses called by Comcare in that process. The judgement relates to matters before Comcare, and it is perhaps appropriate that you ask them questions about it. Senator BUSHBY: Minister, the workplace relations minister said yesterday that Labor believes that bullying has no place in the Australian workplace. Is it true that Mr Williams separately approached and wrote to both his Labor MP, Mr Cheeseman, and the then science minister, Senator Carr, to tell them of the intimidation and bullying that he was experiencing—or says he was experiencing at the CSIRO—and make a plea for help? But, in the end they merely referred him back to CSIRO? Senator Lundy: I am sure you can appreciate that I cannot answer those questions. I can assure you, though, that the government’s attitude toward bullying is that it has no place at all. I can only suggest that we take those questions on notice, but I do not know if we will be able to answer them. Senator BUSHBY: You may also seek to take on notice that seven former CSIRO employees collectively wrote a letter last year to the then science minister, Senator Evans, in which they detailed a long series of incidences and concerns about workplace misconduct at CSIRO. He effectively told them there was nothing new in their letter and that he would not act upon their concerns unless they had something new to add. Senator Lundy: No, I cannot. But, I can suggest to you—and I do not know the timing—that the investigations and the issue were taken very seriously by CSIRO at the time, and that the minister would have had confidence in that. Senator Lundy: I do so on the basis that I do not know if it can be answered, but of course, we will take the question on notice. Senator BUSHBY: In answer to question on notice SI74, the team within CSIRO overseeing the organisations workplace bullying has not been listed in full. It may just be the use of a word that makes it confusing; it uses the word ‘includes’ rather than, ‘the team is’. It suggests that there might be others. Are Dr Drummond and/or Mr Thomas part of the team? And could you ensure that we now receive an answer that clarifies whether there are other members of the team within CSIRO overseeing the workplace bullying? Mr Whelan: In answer to the first part of your question—Dr Drummond and Mr Thomas are not part of that team. Mr Whelan: If I recall correctly, when I was clearing that answer I think we chose to use the word ‘includes’ because this is a dynamic process and we have been adding and adjusting to the resources of it. To give you an ‘is’ answer would potentially have been misleading. For example, I am not listed there as a member of the team, yet I chair the incident management team now, and I am accountable for reporting to the chief executive. We have adjusted this process to make sure it remains fit for purpose. Certainly there was no intent in the answer provided to you at the time to imply that we were just giving you a subset and that there were others. At the time of providing that answer to you, that was the ‘is’ answer at the time; we chose to use the word ‘includes’. Senator BUSHBY: Could you provide us with an update of who currently ‘is’, as at the date that you provide the answer? Mr Whelan: I would be happy to do that. Senator BUSHBY: Dr Clark, forgive me if I misquote you, but you have said in recent months that your door is now open for people who wish to raise bullying complaints. Is it true though that Dr Drummond himself sent an email to all staff in his division, if not more widely, on 12 July last year that said that all requests and correspondence directed to you should be directed via him first? Mr Whelan: My understanding of that correspondence was it related to invitations for the Chief Executive to participate in staff forums and events. My understanding was that what he was seeking to do was to shortcut a normal process that would happen around that where that material then got sent back to the relevant group executive, flagship director or chief, theme leader or program leader to say: ‘Is this a priority? Where do I fit in?’ and the rest of it. It was not in any way to limit staff’s ability to interact with the Chief Executive or any other member of the executive team. Senator BUSHBY: That may well be the case, but the way it is written would leave it open for employees to draw the conclusion that if they wanted to go to Dr Clark, they need to go through Dr Drummond. Mr Whelan: There is certainly no shortage of people talking to Dr Clark, or any member of the executive team. Dr Clark, Mr Roy and I travel around the country all the time and we hold open sessions with staff. Many hundreds of staff have attended those sessions. Senator BUSHBY: I understand that. Mr Whelan: There are certainly no issues with respect to approachability. Dr Clark: Senator, we will take all efforts to correct any misunderstanding if staff have misunderstood. Senator HEFFERNAN: Can I just get some clarification? Is it all right for any member of the CSIRO to approach you directly with any claims? Dr Clark: Absolutely. I visit all sites. Senator HEFFERNAN: Have people approached you? Dr Clark: People approach me all the time. Dr Clark: I always start with health, safety and staff health, and people have brought issues of behaviour to me. Senator BUSHBY: At previous estimates, and again in your statements of 5 February 2013, you and Mr Roy have each quoted some line from the Comcare report into the case of Dr Chyb in order to publicly defend your position and the organisation’s reputation. Yet in response to an FOI request, the same document is being blocked from public release. Can you explain why you are happy to quote from it, but the rest of us are not even permitted to see it? Mr Whelan: What is the document you are referring to? Senator BUSHBY: The Comcare report into the case of Dr Chyb. Mr Whelan: I understand a summary of that report is available on the Comcare website, and the material that Mr Roy has quoted comes from that website. Senator BUSHBY: That is what I am saying. It comes from that website. Senator BUSHBY: I think the full version, as I understand it, has been redacted to some extent? Mr Whelan: That would be a matter for the FOI officer in CSIRO, and I have no line of sight to that. Senator BUSHBY: That may well have been innocent if you are just quoting from what is publicly available. Mr Whelan: That is my understanding. Mr Roy: I have in front of me the printed copy of what I extracted from the Comcare website recently, which is the summary of the investigation. It does not include the quote or a derivative of the quote that I did provide some estimates ago. The full report provides the exact quote as we responded in a question on notice, and it does provide Comcare’s findings into the four allegations made by the previous officer who made those allegations. Senator BUSHBY: Does CSIRO have access to a full, unredacted copy? Mr Roy: Yes we do. Senator BUSHBY: Or are you only working from what is on the website? Mr Roy: No, we have a version of the full report. I think we have stated in some of the previous answers that we have read and are responding to the full report in the improvement notice. In terms of the redacted version that has been provided, I am aware of at least one individual who has asked for a copy. It was redacted for privacy considerations, and that would be normal practice, to take private information out of the public arena. Senator BUSHBY: I am not going to ask about the actual allegations, more about CSIRO’s approach to when allegations were raised. Mr Whelan: If you want to talk in generic and abstract terms I am very happy to but if you are going to go to the details of the case I am sensitive to matters that are before the courts and I am also sensitive of the welfare of the individuals both in and outside CSIRO who may be witnesses in that matter. I simply make that comment and you can reflect on it. Senator BUSHBY: Some of Dr Chyb’s allegations I believe related to Dr Lonsdale. This is on the public record at the moment. Mr Whelan: Dr Lonsdale is a witness in the case. I will reiterate my point: it is very difficult for us to be dealing with a situation where, intentionally or unintentionally, you are going to material that is in a matter before the Federal Court. Senator BUSHBY: The question I was going to ask is: is it correct that Dr Lonsdale has now vacated his position, which I do not think is material to the court case. Mr Whelan: It is correct that Dr Lonsdale has indicated that he is not seeking another term as chief of the Division of Ecosystem Sciences. That is at his instigation? Mr Whelan: He has indicated he is not seeking another term. Senator BUSHBY: I understand that Dr Clark’s appointment expires at the end of this year. Is that correct? Senator BUSHBY: It is probably a question for the minister. Senator Lundy, I understand that Dr Clark’s current appointment expires at the end of this year. Have there been any steps taken towards looking at what might happen with the CEO’s position beyond the end of this year? Senator Lundy: I would of course refer that to the minister, but I would just question the appropriateness of discussing such things at the Senate estimates table. I am very happy to take that on notice for the minister. Senator BUSHBY: I am aware that the Tax Commissioner’s position has been discussed, the ACCC commissioner has been discussed and all sorts of such positions are discussed, because it is a matter of public importance and public interest. Senator Lundy: They do indeed. Senator BUSHBY: Would you on notice advise what processes will be followed in order to examine that position and what might occur from 1 January next year? Senator Lundy: I am sure they will be normal processes. The following insight was published on the APSBullying.com website by our good friend APS Dignity. Step 1: Accuse an eminent international scientist of credit card fraud. Step 2: Bring in an external investigator to investigate the scientist in the hope that the investigator agrees with the accusation. Step 3: When the investigator finds that the scientist’s signature was forged and recommends reporting the forgery to the police, ignore the recommendation. Step 4: When the scientist insists on reporting the forgery to the police, spin the forgery as a “minor administrative matter” and declare calling the forgery a “criminal activity” as “unacceptable”. Step 5: Appear to commit perjury in court by accusing the scientist of committing credit card fraud after knowing his name was cleared by the external investigator. Step 6: Drop the fabricated credit card fraud claim against the scientist after the public damage to the scientist has been executed. Well done CSIRO on a brilliant game plan! Just genius! The Victims of CSIRO advocacy group have launched an online petition through Change.org to draw attention to the flaws in the proposed ‘independent’ investigation into workplace bullying announced by the CSIRO Executive. A completely transparent and truly independent investigation would be welcomed by those who have suffered as a result of the poor workplace culture within the CSIRO but it needs to be free from interference by the CSIRO. The CSIRO are proposing to examine and hand on submissions to the independent investigator which they deem “suitable”. As pointed out in the media last week, this is a massive conflict of interest as the investigation could potentially receive submissions relating to the very individuals who are to examine them. Do you trust someone in this position to appropriately handle a document containing allegations about them personally? If you feel strongly about a just and credible investigation into workplace bullying please sign the petition in the link below. Please also forward the link to anyone who you think may feel strongly about this. The following letter from CSIRO Senior Executive, Mr Trevor Heldt has been provided to Victims of CSIRO for publishing. This letter demonstrates the lengths that CSIRO will go to in order to intimidate its employees, particularly those that are exercising lawful rights, such as for example, submitting a compensation claim to Comcare or seeking to have a decision set aside in the Administrative Appeals Tribunal. Should CSIRO’s “legal eagles” have bothered to read the relevant Act, in this case, the Privacy Act, they would have formed the opinion that Dr Chyb was well within his rights to disclose this confidential report to his solicitor, Comcare and the Australian Administrative Appeals Tribunal in pursuing legitimate administrative and judicial actions. It is strange than an organisation which so tightly controls the flow of information and is so willing to litigate to protect its own intellectual properties, employs legal counsel that seem not to have bothered consulting the appropriate legislation before firing off such a highly intimidating, legalistic letter with absolutely no legal basis to support it in doing so. Unsurprisingly, this action never went beyond threatening letters from legal types who really should have better things to do! Surely the least Dr Chyb should be able to expect from Mr Heldt is a heart felt apology for the baseless threats that he was responsible for issuing. We though Deputy Chief Executive Officer, Operations, Mr Mike Whelan was having a personal joke at Wednesday’s Senate Estimates Committee hearing when, with quite a straight face, he informed the Committee that the CSIRO was a ‘Model Litigant’. The contents of the letter below seem to suggest otherwise!